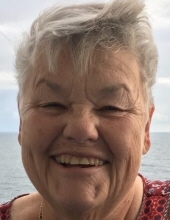 Sandra R. Schraml, age 72, was a lifelong resident of Wauconda, IL. Sandy was the beloved wife of the late Gayle; loving mother of Traci (Steve) Elliott, Angela (Tom) Anderson, Jennifer (Dave) McNamara and Nicholas (Kate); cherished Nana of Maggie, Claire, Brigid, Nathan, Ryan, Colin, Adelynn, Ellie, Audrey, Olive, Evaline and Lucy; dear sister of Sharon Bell and Hal Stonick, Jr.
Sandy was born March 12, 1946, in Libertyville, IL and passed away Thursday, January 10, 2019 at Journeycare Hospice in Barrington, IL. Sandy was the former Music Director, active in Street Scenes and member of the Carpenter’s Crafters of Transfiguration Parish in Wauconda, IL. Visitation will be Tuesday, January 15, 2019, from 4-8 pm at Kisselburg-Wauconda Funeral Home 235 N. Main St., Wauconda, IL 60084 and Wednesday, from 9:00 am to 9:45 am at Life Bridge Community Church 700 W. Liberty St., Wauconda, IL 60084. (847-526-8254). The funeral service will start at 10:00 am at the church. Interment will follow at Wauconda Cemetery. In lieu of flowers, memorials are appreciated to the Life Bridge Community Church. To send flowers or a remembrance gift to the family of Sandra R. Schraml, please visit our Tribute Store. "Email Address" would like to share the life celebration of Sandra R. Schraml. Click on the "link" to go to share a favorite memory or leave a condolence message for the family.